(L-R) Patrick Coldrick, Mann Engineering, Sarah Foran, Foran Equine, Stephen McClean, Boyne Valley Group & John Deegan, Kneat Solutions. Fifty five senior business people who completed DIT’s International Selling Programme this year presented export sales plans for their companies at Enterprise Ireland HQ recently. The documents were the culmination of a year of studies which equipped students to develop export sales strategies for their companies in challenging, high potential export markets such as China, Kenya, Finland, USA, Mexico and Qatar. 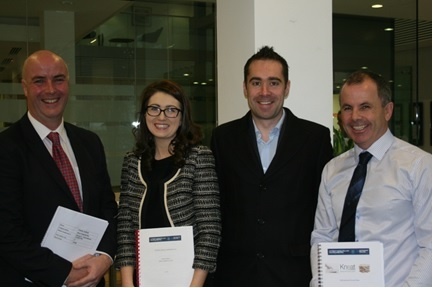 A panel of academics from DIT’s Faculty of Business joined industry experts, business coaches and EI Development Advisors to assess and provided feedback on each student’s submission. Each executive’s International Growth Plan will act as a roadmap for their company’s sales activities throughout 2014 and beyond. The content of the submissions reflects the emphasis of ISP. A deep analysis of the target market informs the development of an international sales strategy. A process driven approach to selling is subsequently devised which functions to align and embed selling activities across the entire sales organisation. 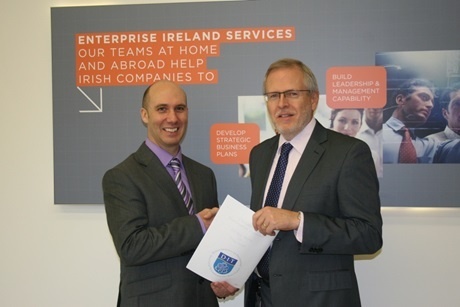 ISP is supported by Enterprise Ireland and participating executives are representatives of EI’s client company network. One of the International Selling Programme’s great advantages is the diversity of sectors represented on the programme. 2013 programme participants such as Kilsaran Concrete (construction products), Easydry (eco towels), FEXCO (financial services), Car Trawler (car rental software) and Burnside Autocyl (hydraulic cylinder manufacturers) illustrate the broad sweep of sectors that have been represented on ISP since its launch in 2006. 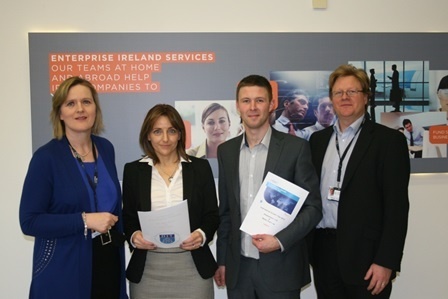 To date almost 500 students from 385 Irish exporting companies have completed the programme. DIT’s next ISP programme will launch in January 2014. « At Last Our New Miyano ABX Machine Has Arrived!